Just before Christmas I was invited to experience the new Sole of London Medical Pedicure* treatment at DG Podiatrist in Mayfair. It was just what I needed after a long December hitting the gym and pounding the streets of London to pick out presents for my loved ones, and it got my Christmas period off to a very luxurious start indeed. It meant I could start the festivities with newly invigorated and tended-to tootsies, and more importantly, a greater knowledge of how important it is to keep your feet healthy. 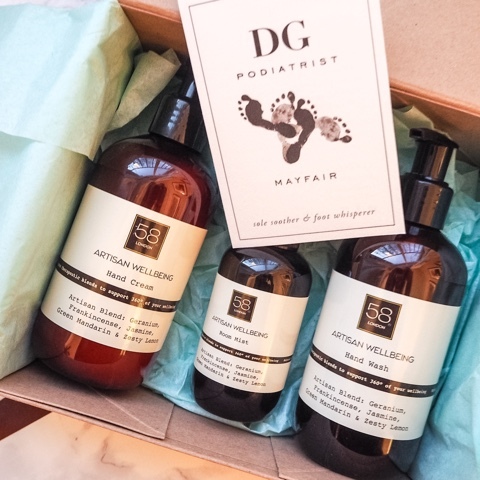 DG Podiatrist is a luxury podiatry company founded in 2014 by Dina Gohil, who carries out all procedures at the South Molton Street treatment rooms. 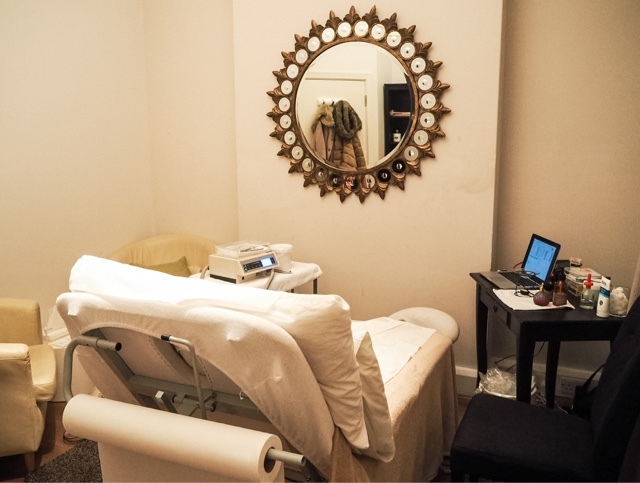 The clinic is absolutely gorgeous – very bright, airy and spacious and Dina explained that she ensures to leave plenty of space between her clients so that each person feels special and unique and is not left sitting in a busy waiting room. 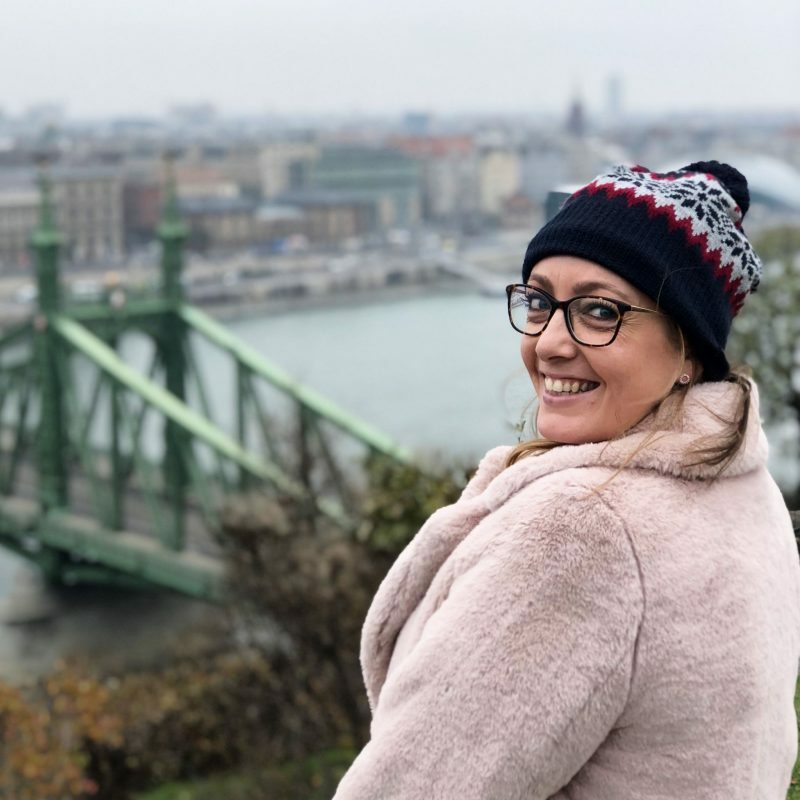 Dina is so passionate about foot care and believes that a quick fix and change of nail polish is not enough to satisfy modern women, and Dina’s Medical Pedicures are intended to be longer lasting, revitalising and age defying, serving to improve the exterior of the body and also benefit and improve your health overall. 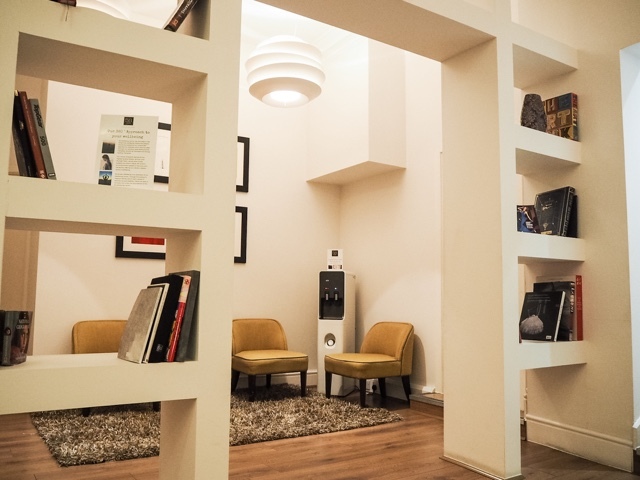 I was treated to the Sole Of London Medical Pedicure which brings together the best of East and West therapy, combining the traditional DG Podiatrist Medi Pedi with Tri-Dosha skincare treatments to create an Ayurvedic holistic treatment. Dina started with a few health questions then I was up on the treatment bed ready to have my tootsies revitalised! Dina continued to ask me questions about my lifestyle and was able to guess most of my answers based on the state of my feet! For example, Dina recognised that I wear mostly flat shoes with little shape or support (I live in trainer pumps!) by the areas of my feet which had most hard skin. Dina really gently removed all hard skin from my feet and reshaped my nails to look better and also help prevent any ingrown nails. Dina talked me through step by step explaining what she was doing and why, and also told me about the importance of keeping your feet in good condition. Whilst my feet were in pretty good condition, Dina explained that should patients have any corns or other conditions she will treat them there and then if able to. If not she will refer them for further treatment either at her clinic or at a doctor / hospital if necessary. Dina did recommend I start to use a CCS Cream to keep my feet moisturised and prevent cracked heels and told me to try and incorporate this into my nightly routine. After all, I always cleanse and moisturise my face before bed, why shouldn’t my feet get the same treatment? Dina also recommended I treat my feet to a weekly saline soak to give them a good deep clean and again encourage smooth skin. And I have to say that so far I have been very good at keeping up with both treatments! It was then time to move onto the six stages of nourishing Tri-Dosha treatments and Dina invited me to lay back flat on the bed to help me fully relax. Perfect! Dina started by cleansing my feet and then used a light foot scrub to encourage and improve circulation before moving on to using a support oil, compress and massage, heated foot wrap and then finishing off with an invigorating lotion. AMAZING! Dina talked me through every step and let me know all of the key ingredients / fragrances in the products which was great as I’m one of those people who always likes as much information as possible when having treatments so I can try and remember which scents I like most and incorporate those into my products and routine at home. Everything smelt absolutely gorgeous with lots of lavender to create a really lovely soothing atmosphere and I felt so so relaxed I was gutted when my hour and 15 minute treatment was over! I so enjoyed my Sole of London treatment at DG Podiatrist. Dina was so friendly and welcoming and I learnt so much about the importance of looking after my feet and the ways in which to do so. Whilst it is a very high end treatment (£205) it is extremely luxurious and a real treat, as well as being good for your health and well being. It would make a fabulous gift to spoil someone you love, and Valentine’s Day is right around the corner – start dropping hints now ladies! Have you had a medical pedicure before? *Thanks so much to DG Podiatrist for inviting me to try out their Sole of London Medical Pedicure. All thoughts are honest and my own. For more information please see my Disclaimer Page.